Bring a little Las Vegas action to your next fundraiser event! We can host all types of fundraisers, from a Hawaiian Luau to VIP Black Tie affairs. 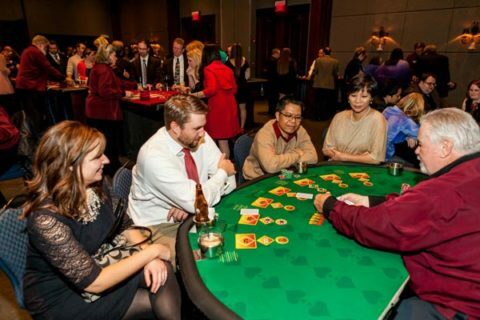 Our casino events are a unique blend of fun, excitement, and professionalism! Whether it's Poker, Craps, Blackjack, Roulette, Slots or other exciting casino games, our dealers will ensure that your guests will have an unforgettable experience and leave them wanting more. Our friendly and professional staff will walk you through your fundraiser from its inception to completion and every detail in between. We can even help you identify and evaluate additional sources of revenue to help you boost the income your fundraiser can potentially generate. With over 15 years experience in special event planning, our dedication to your event’s success is our highest priority. We’ll even offer you a free consultation to help you through the process of planning out your entire event. Ask about our complimentary fundraising guide to help you get started. Call us today for more fundraising ideas or information on how we can provide your charity or non-profit organization an experience to remember! We will customize the perfect fundraising package for you based on your expected number of guests and your desired financial goal and help you with your fundraising idea. We are the premier casino theme party and casino home party planning company in Indiana. Transforming your next event into Las Vegas casino party is our specialty.